Blog Trump’s 12 Carrier Navy: Money Well Spent? Trump’s 12 Carrier Navy: Money Well Spent? Trump has come out and endorsed a 12 carrier Navy. For those wondering a 12 Carrier navy is considered the comfortable minimum number of carriers we need to function carrier battle groups around the world; considering work ups, deployments and maintenance. Sea, land and space missile technology is not unique to “major” powers any longer. While I am glad to hear that Trump wishes to expand the Navy, I’m not so sure I’m down for the carriers. Without getting too deep into the hypotheticals, the fear is the aircraft carrier battle group in a major war against an adversary with parity is too easily knocked out. 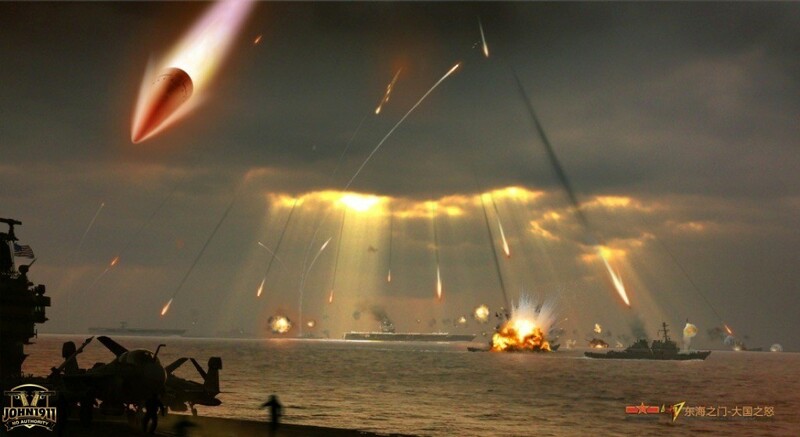 Chinese image of fighting the US Navy. Believable or not, it’s important to acknowledge your adversaries goals. Some carriers are needed. They provide all kinds of options since we are the world’s only superpower. 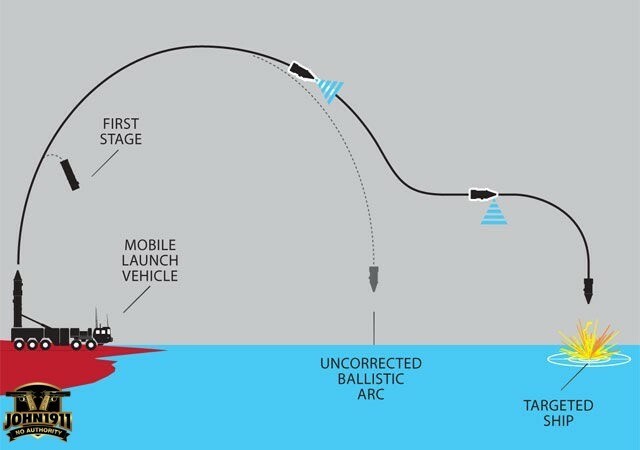 But technologically it’s too easy to kill a carrier with anti-ship cruise missiles, ballistic missiles, and nuclear / conventional torpedoes. And soon we will be facing the reality of swarm drone & missile attacks. If a major war were to break out in the Pacific, we would win or lose that war primarily with submarines. 14 US Navy ships. 3 carriers. How much money is spent building, buying, operating, maintaining, staffing these groups over their life cycle? Now imagine losing 3 of them in the first hours of a war. Is there a Plan B? Or is the thinking it’ll never happen? As for surface forces, the thinking is to disperse large carrier battle groups into smaller individual assets that are not easily knocked out in one fell swoop. And each of those individual assets would be chock-full of vertical launch systems for swarms of missiles. For those you paying attention, that is the theory of the LCS. 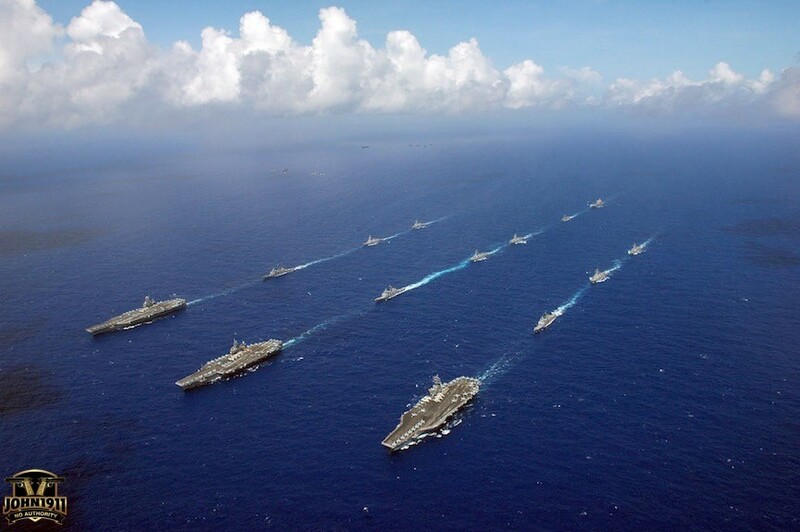 The point of a Carrier Battle Group is the carrier. 4000 Airman, Sailors and Marines. How many conventional ballistic missile hits can this platform absorb before being rendered combat ineffective? Note..I’m not even talking nuclear…yet. Now let’s talk about the LCS. That program is in trouble. The question is whether the LCS ships are even remotely combat survivable? What needs to be seriously considered is the possibility of canceling the LCS program, and then using the latest Coast Guard frigate as the VLS platform of the future. 90 or 100 guided missile frigates chocked full of Aegis defense radar’s and SM-2 / SM-3 and tomahawk cruise missiles is a nightmare for any adversary. Actual PLA ballistic missile target in Gobi Desert. You think they poured that much concrete by chance? Reality check: See the big conventional hole? 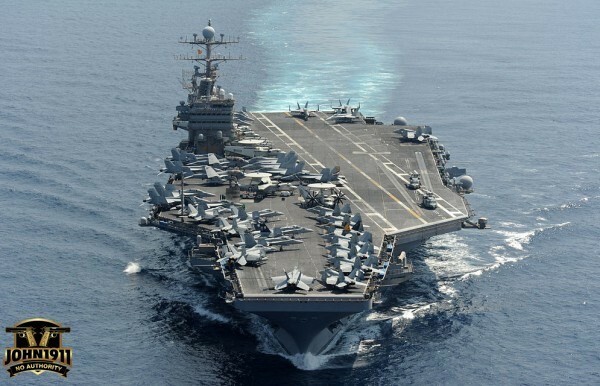 Even if the carrier wasn’t sunk, that ship likely not conducting flight ops any longer. That in conjunction with our guided missile submarines is a winner. So what about the F-35? About a year ago I had an off the record conversation with a flag officer involved with that program. I understand what they’re trying to do now. It’s really interesting. I’ll save that for another post. 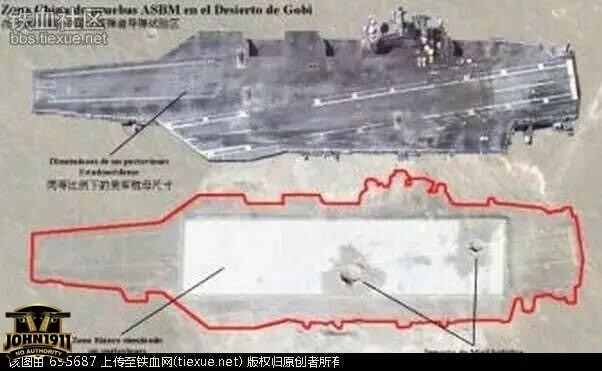 Chinese missile ranges. As the commander, factor in how many missiles can you shoot down before eating one vs having to stay out of missile range entirely. Then calculate how far your plans have to fly to even be in striking range of the adversary. Can they even reach their targets? I will leave you with a question that is commonly asked by American civilians in terms of fighter-jet-fan-boi braggadocio, but never from the context of our adversaries’ fears: if you are in Russia or China tonight, would you be asking yourself why the Americans stopped making the F-22? And what are they up to?